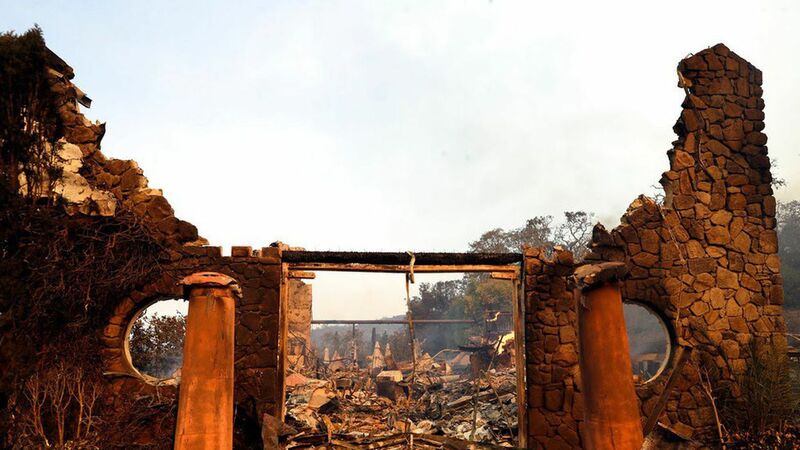 "Signorello Estate, a winery on Silverado Trail, was ruined, and buildings at nearby Stags' Leap Winery burned, too." "Starting in the middle of the night, the fires hopscotched across neighborhoods, raced across fields and jumped freeways. Wind gusts up to 70 mph pushed walls of flames nearly 100 feet high, throwing embers ahead like hot fingers into strip malls and subdivisions." "Many people who fled the surge had enough time to grab car keys, perhaps a pet, but not much more." "Sonoma County officials received more than 100 reports of missing people as of [last] evening." Why it matters: "One of the most damaging series of blazes in modern California history." Go deeper: Stunning before-and-after photos from N.Y Times.